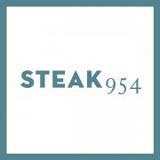 STEAK 954 is a modern boutique ocean-front steakhouse. The restaurant features dry aged beef from hand picked ranches; Tajima Kobe from Australia, locally caught seafood, and the finest wines and spirits with selections from all over the globe. The restaurant offers exotic decor, creative dishes & ocean views. The ultimate special occasion experience. Sit outside if the weather is nice!